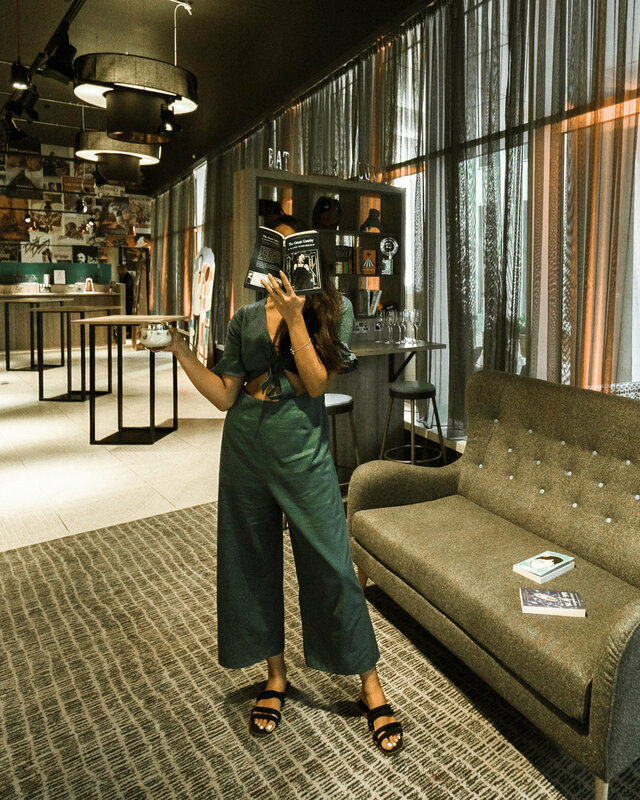 Ibis Styles Ealing, which officially launched last August, is a kitschy cinema-themed hotel in the heart of West London. 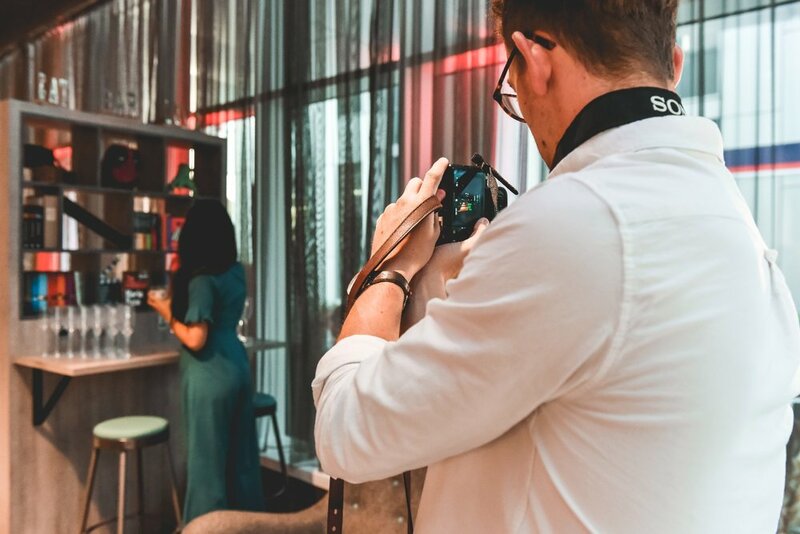 Even though Ibis Styles is technically a chain, the varying themes for each of its hotels (Ibis Styles Manchester, for example, has a rain and umbrella theme) makes each hotel feel uniquely different, and a little more special than other hotel chains. I love cinema. Watching movies was a weekly ritual for my family when I was growing up. My first job was editing a film magazine. Any long-haul plane ride I have, I spend catching up on the latest blockbusters and indie releases. The film theme of the Ibis Ealing was such a fun treat to experience! Ibis Ealing is a 10-minute walk from Ealing Broadway tube station. Great transport links into Central London. Nice area generally with a village feel but lots of known chains such as Honest Burger, GBK, Bill’s, Nandos and so on offering plenty of variety. The hotel lobby sets the cinema scene from the minute you enter the revolving doors. 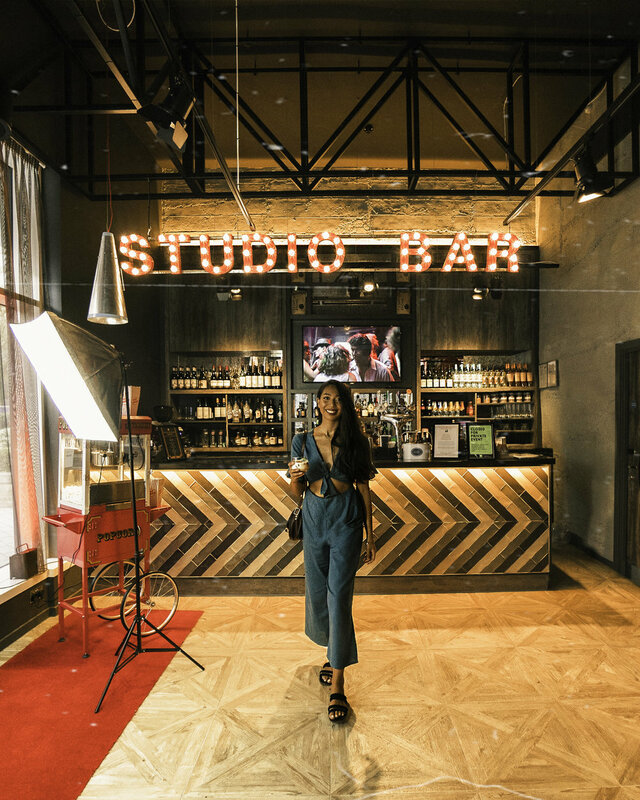 To your left is the Studio Bar, tastefully designed to resemble a backstage film production set, with Hollywood-style bulb lights, art deco-style mosaic details, black ceiling rigging, and cinema-themed cocktails ("Some Like It Hot"). To your right, where the lounge area is (the breakfast area in the morning), is a welcoming bookshelf full of film props, clapperboards, classic novels and scripts that have become iconic films – such as The Great Gatsby (fave), A Clockwork Orange, and Life of Pi. Small touches, such as spotlight tripod lamps, and Star Wars cushions on the sofas, add to the nostalgia of the space. The entire back wall is a collage of vintage film posters, bringing a retro feel by transporting you to a ‘50s diner somewhere along Hollywood Boulevard. Each floor has red carpets, with references to famous movies – “the one where they’re singing and it’s raining” – leading you towards your hotel room. The room numbers are marked by little clapperboards. I stayed in room 406, which is a double room with a view overlooking the street. The rooms are modern and sleek, with comfortable queen-sized beds. A soft, cosy set of pillows and a cushy bed to curl up in is all I ask for in a hotel and Ibis delivered! The cinema theme touches in the room continued with bedside tables that resembled equipment cases, a copy of The Devil Wears Prada, a popcorn-shaped stress ball, a bucket of chilled Prosecco with two champagne flutes, a vintage film-effect mirror, and studded lights around the bathroom mirror like a backstage dressing room. The actual colour of our room was green, adding to a green-room backstage feel, and the bathrooms were also tiled in a soft teal shade. Ibis uses organic soap, which I liked. 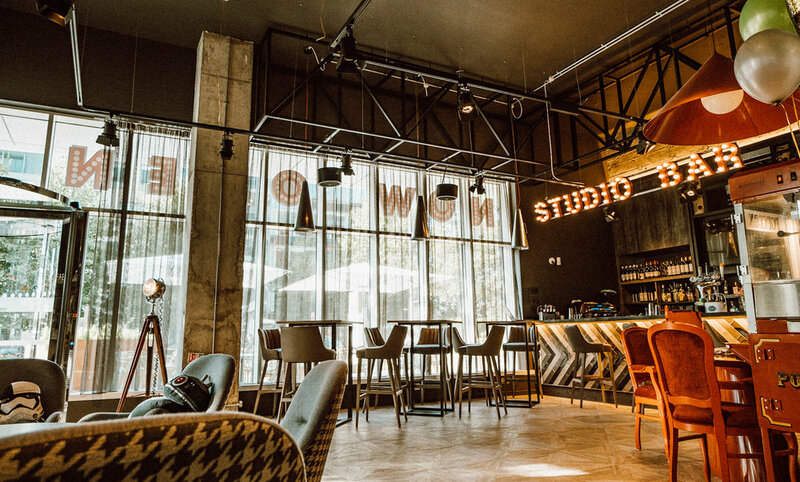 Although the clientele were mainly older European couples and families during my stay, the chilled ambiance caters to a more millennial audience who would appreciate the immersion in the film theme, as well as a modern hotel that delivers on quality and comfort. Breakfast was a standard and a little bit underwhelming, as it was a cold breakfast, so those who love a cooked breakfast with lots of selection might find themselves looking to have breakfast outside of the hotel, but there is plenty of choice if you do. 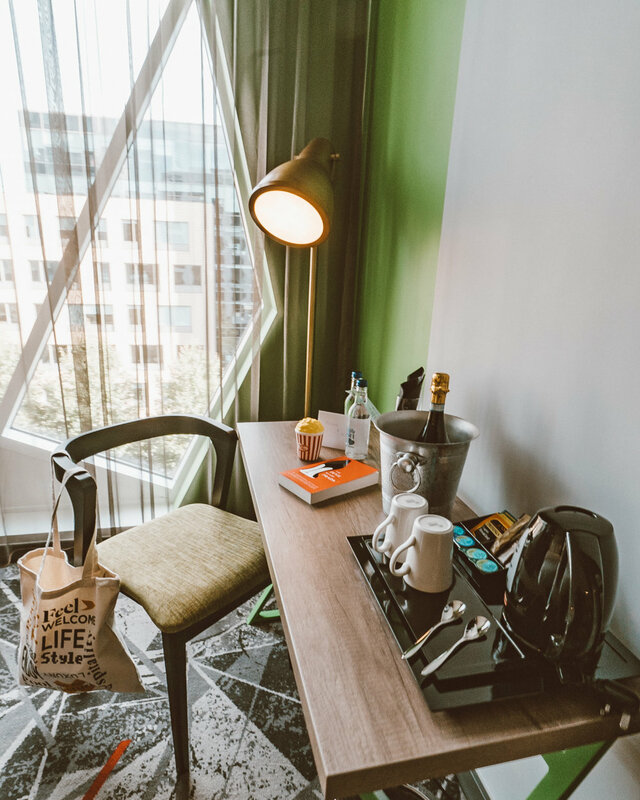 I definitely recommend Ibis Styles Ealing for travellers on a budget in London who don’t want to compromise a fun experience and quality for a relatively lower price than competing hotels. Ibis Styles is for you. 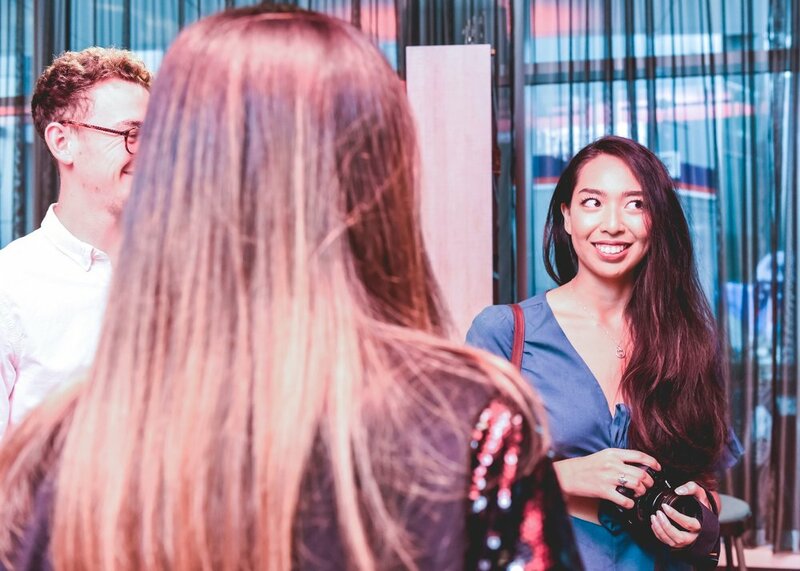 Disclosure: This post was made in collaboration with Ibis Styles Ealing. As ever, my opinions remain honest and my own. With thanks to Mr Highline for support and sponsorship.